When the year began I made a list of my five most anticipated films - which were, in order: The Amazing Spider-Man 2, RoboCop, Interstellar, Dawn of the Planet of the Apes and Godzilla. Having finally seen them all after watching Interstellar a few weeks back, it is time to do another retrospect - and reorder these films in terms of quality to see how they relate to my original list. You can find that list here. Christopher Nolan's latest sci-fi epic failed to impress at the US box office; it'll barely sell 20 million tickets, and will collect the majority of its sizeable earnings from international markets. Such a situation is extremely shocking, considering Nolan's reputation and the hype for the movie itself; and when you consider his last three films made well over $200 million domestically (one of which is the fourth highest ever in the US), it is very odd to see his name suddenly failing to attract a large audience. From a critical perspective, Interstellar is definitely not a bad film, more a decent one, but it still didn't put enough effort into telling its great premise; and Nolan gets lost in his desire to ensure the film is scientifically accurate. It's stellar (sorry) visuals and great cast make up for some of the flaws, but it was still a disappointment due to a testing runtime and a lack of narrative focus. The original RoboCop is one of the most treasured films of all time; and one of its most compelling attributes was it's cheesy, over the top gory violence that was a convention during the 1980s. So, a remake with a 12A (PG-13) classification was met with naught but contempt; and with earnings of only $242 million on a $120 million budget and mixed reviews, it seems the film wasn't give the warm welcome the studio hoped it would. But it's totally strange to me why people dislike this reboot, for this year's RoboCop is still a thoroughly entertaining action film, backed by a strong cast and a welcome focus on the emotional weight of it's narrative - which makes the sacrifice of the violence more than worthwhile. Michael Keaton particularly stands out in this impressive ensemble, and while it may not be as satirical as the original, smart little prods towards the general outlook of the media still make for an updated commentary on the modern world. The rebooted stage of the Spider-Man film franchise is not going down the best path, with the first installment becoming the least successful both domestically and worldwide in 2012; an unwanted accolade now passed onto this latest sequel. Let's go back to ten years ago: Spider-Man 2 sold over 60 million tickets in the US alone. The Amazing Spider-Man 2? Roughly 25 million. A huge decline in attendance has affected each film as the franchise moves forward, and this latest installment brought this trend to an all time low - so much so that Sony wants to progress with Sinister Six more than the sequel to this film. It's a shame because, while a lot of the story can feel contrived, this sequel boasts an extremely talented cast, remarkable production design, and surprising depth, mainly thanks to the chemistry between our leading stars Andrew Garfield and Emma Stone. Despite initial controversies, even the villains ended up being a lot better than I initially though they'd be, particularly at Dane DeHaan's Green Goblin - despite his limited screen time. Opening to a $93 million weekend yet only closing with $200 million in domestic earnings, Godzilla was one of the most front loaded movies of the summer, which is easily pinned down to one cause: a slow burn structure which didn't contain as much monster fighting that people wanted. The titular monster makes his first appearance nearly one hour into the film, and it's been calculated that the action scenes put together total roughly 11 minutes - out of a 123 minute long film. So perhaps the fans have a reason to be so upset, particularly those loyal to the original films. But interestingly, Godzilla seems to echo the approach of films such as Jaws and Jurassic Park - the central villains of those movies don't appear as often as you'd think, which helps to build tension and make their eventual appearances incredibly exciting. 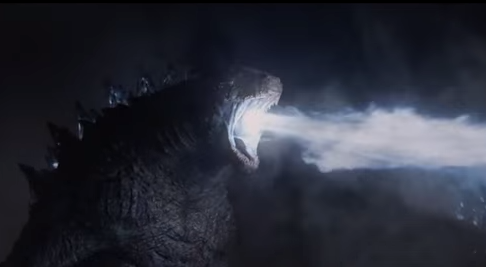 Using this approach for a Godzilla movie was a bold choice, and while it failed to impress everyone, I was sure engrossed by it; especially when the cutaway teases helped make the climax all the more thrilling. It's a fact to me that director Gareth Edwards was the right man for the job. Having collected over $700 million worldwide compared to Rise of the Planet of the Apes' already successful $484 million, Dawn has launched the series into enormous stardom once more, and things are only set to get better in the future. Taking the story in an exciting new direction, this sequel shows us how the simian flu has wiped out the majority of the human race, leaving apes to adopt their own peaceful colony in the ruins of San Francisco; however, they face confrontation with a surviving band of humans not so far from their own homeland. Thanks to another incredible performance by Andy Serkis and the stunning motion capture effects, Dawn understands how to tell it's beautiful story, and never fails to impress when it comes to the action front. As a result, it is without a doubt one of the best films of the year thus far, and another masterful achievement in this rebooted series.